Could a case on the boxing classic Raging Bull lead to a patent litigation prizefight of sorts? In an en banc hearing ordered on December 30, 2014, the Federal Circuit Court of Appeals, a federal appellate court with special jurisdiction over patents and trademarks, will decide whether the Supreme Court’s essential elimination of a litigation defense involving copyright cases should also apply in patent cases. The defense in question is the doctrine of laches. Laches is an equitable defense that bars recovery when a party claims it has been legally injured, but unreasonably delays pursuing any legal action in a way that prejudices the opposing party. 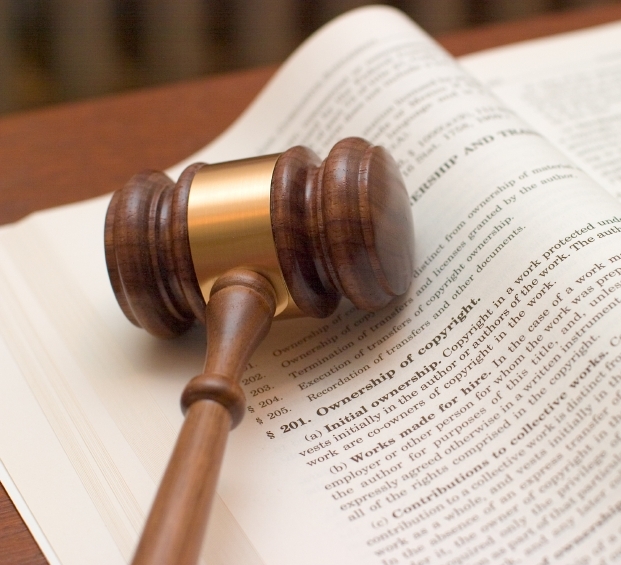 The defense has been asserted in many kinds of cases, including contract, tort, copyright, and patent cases. A Supreme Court case involving a copyright and the laches defense, Petrella v. Metro-Goldwyn-Mayer, Inc., 134 S. Ct. 1962 (2014), has triggered a ripple effect that may reach into patent law. In that case, Paula Petrella, daughter of the co-author of the screenplay that evolved into Raging Bull, alleged copyright infringement against MGM. MGM countered that Petrella delayed too long in bringing the action, as she had renewed the copyright in 1991 and first threatened suit in 1998. However, the Supreme Court rejected MGM’s position and held that the doctrine of laches cannot be invoked as a bar to the pursuit of a claim for damages brought within the Federal Copyright Act’s three-year statute of limitations. The holding meant that Petrella is not barred from seeking relief for damages during the three years before she filed her lawsuit. Now, the full Federal Circuit will help determine the reach of the Petrella ruling. In SCA Hygiene Products v. First Quality Baby Products, Inc., 767 F.3d 1339 (Fed. Cir. 2014), a three-judge panel of the Federal Circuit affirmed a grant of laches in a patent infringement case, despite the ruling in Petrella. In the case, SCA, the patent holder, suggested in a 2003 letter to First Quality, its competitor in the adult incontinence market, that First Quality products were infringing on one of SCA’s patents. After exchanging letters for several years, the patent holder filed suit in 2010, alleging patent infringement. The District Court granted the defendant’s motion for summary judgment under both laches and equitable estoppel grounds. Then, the Federal Circuit panel, while reversing the equitable estoppel grounds, affirmed the District Court’s laches holding. The holding on laches came despite the patent owner’s argument that Petrella’s holding should apply to patent infringement as it does to copyright infringement to bar the laches defense. The defendant countered that although the Federal Patent Act limits the time during which damages can be incurred to six years, there is no statute of limitations period in which the suit must be brought. Conversely, an action for copyright infringement must be “commenced within three years after the claim accrued” under the Federal Copyright Act. Because of the lack of a true statute of limitations for patent cases, First Quality argued that patent cases are different from copyright cases, so the laches defense must still be effective in patent cases. The Federal Circuit three-judge panel agreed, maintaining that the Petrella decision did not apply to the patent context, and affirmed the lower court’s grant of summary judgment based on laches. Then on December 30, 2014, the Federal Circuit vacated its holding and ordered a hearing by all the judges who sit on that court, en banc, at a time to be determined. The Federal Circuit’s en banc decision could have significant consequences in the realm of patent litigation. Laches is one tool patent litigation defendants use to defeat patent assertion entities, also known as patent trolls, that sue. Patent assertion entities enforce patent rights against accused infringers despite their not supplying the product or service covered in the patent, effectively possessing the patent to seek licensing fees. They often wait many years to assert these cases, allowing memories to fade and evidence to become stale that might have otherwise helped the defense. The laches defense can be particularly useful against plaintiffs such as these, if unreasonable delay resulted in actual prejudice to someone’s ability to defend the case. Those who defend patent infringement claims will hope the Federal Circuit decides not to apply Petrella in the patent area. It’s anyone’s guess what the Court will hold, but the matter is sure to be hotly contested in the coming months.